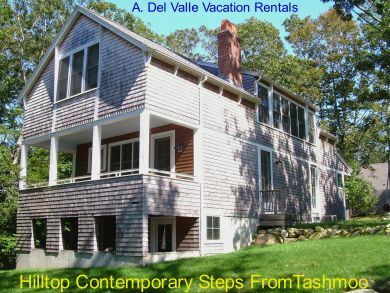 Welcome To Marthasvineyard-realty.com A. Del Valle Vacation Rentals of Martha's Vineyard. We serve the towns of Edgartown, Oak Bluffs, Vineyard Haven, Tisbury, West Tisbury, Chilmark and Aquinnah. 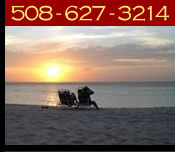 We Specialize in vacation rental homes and the sale of vacation homes and rental property. Please view some of our Sales and Rental homes. Email or call to inquire about any property and we will reply promptly. Great Starter Home. Charming Cape located close to town, Tradewinds & bike path. House has 3 bedrooms, 2 full baths and is waiting for you to make it you The 1st floor has open living, dining & kitchen area with hardwood floors and a slider that opens toa lovely side deck. A bedroom, full bathroom and mudroom finish off the first floor. Upstairs has 2 generous bedrooms and a second full bathroom. Partial finished basement. Nice, partially fenced in yard gives you a sense of privacy. Farmer's Porch. All INFORMATION relating to real estate for sale/lease on this web including pricing, is deemed reliable at the time of posting. Information provided is thought to be reliable but is not guaranteed to be accurate; you are advised to verify facts that are important to you. No warranties, expressed or implied, are provided for the data herein, or for their use or interpretation by the user. PLEASE USE EMAIL to send us all of your rental inquiries.